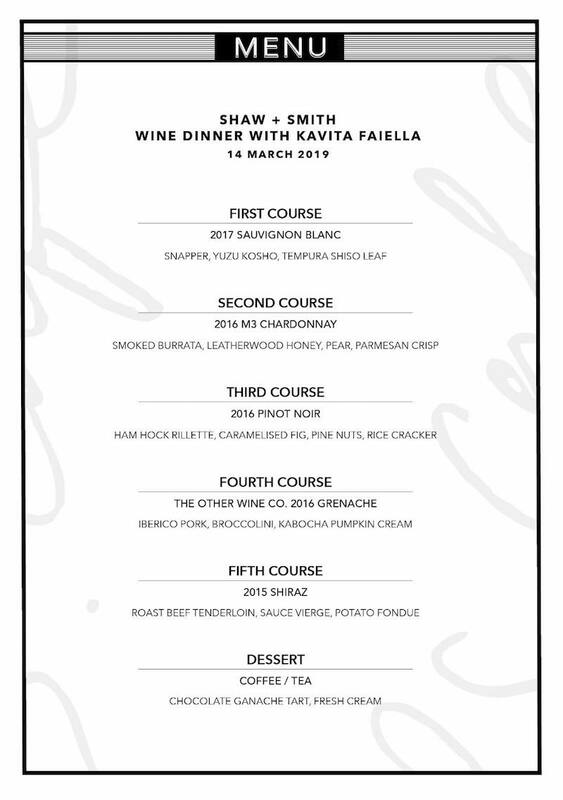 Join brand ambassador and acclaimed sommelier Kavita Faiella for an exclusive wine dinner at PS.Cafe on Ann Siang Hill featuring wines from Adelaide Hills-based Shaw + Smith on Thursday 14 March 2019 at 7pm. Full menu below. Tickets are $108 per person, and can be purchased here.